West Ham have tabled a fresh offer for Krzysztof Piatek, but Genoa are keen to do a deal with AC Milan over the Hammers. 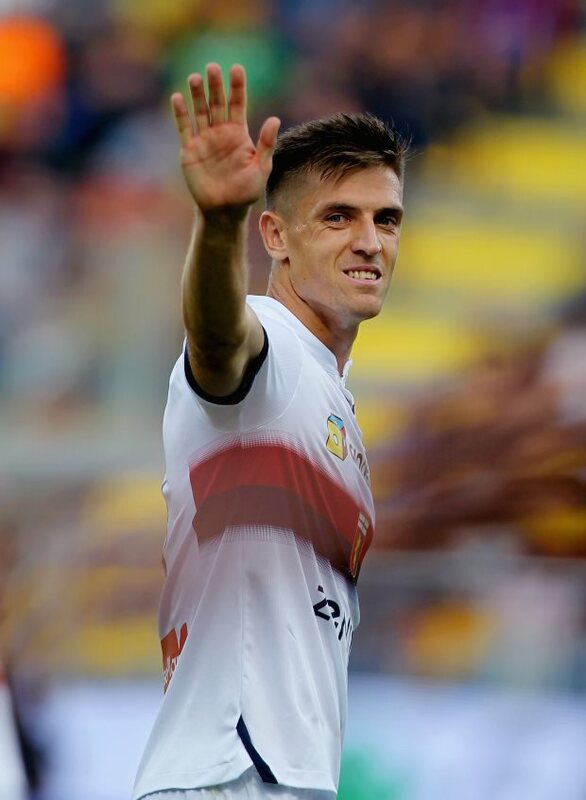 Piatek has scored 19 goals in all competitions since joining Genoa last summer and his future at the club has come under the scanner this month. AC Milan want to sign him as a replacement for Gonzalo Higuain, who is set to join Chelsea and have been in talks with Genoa to reach an agreement over a fee. However, West Ham want to play spoilsport in AC Milan’s plans and Genoa have already rejected a €35m bid from the Hammers this month. West Ham have not lost hope of signing Piatek and according to Italian broadcaster Sportitalia, the Hammers have placed a fresh offer of €40m on Genoa’s table for the forward. The offer is corresponding to the sum Genoa have been demanding for the player but West Ham remain the underdogs to sign the striker. Piatek remains AC Milan’s top target and Genoa are giving the Rossoneri the preference in terms of finding an agreement for the striker. West Ham are searching for a replacement for Marko Arnautovic and it seems Piatek is the striker they want.